University lecturers are close to calling off their one month old strike after reaching a fresh agreement with the Federal Government on their demands. Top of the agreement reached at a 15-hour meeting that ended early yesterday in Abuja,is the immediate release,by government, of N220 billion to the universities to fund the revitalization of federal universities in the country. The sum is expected to be paid not later than next month. 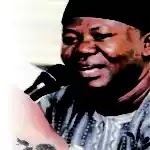 Representatives of the Academic Staff Union of Universities (ASUU) are scheduled to present details of the agreement to the National Executive Council of the union within the next one week for ratification, and possible calling off of the strike. Besides, government at the conciliatory meeting, coordinated by Labour and Employment Minister,Chris Ngige, agreed to commence the immediate payment of the salary shortfall to the lecturers. Ngige told reporters at the end of the meeting that government had also commenced the payment of the earned allowances of members of the union. He said the meeting also discussed how to set up the National Universities Pension Management Company as well as the issue of university staff schools and the Treasury Single Account. Continuing, Ngige said: ”There’s the fund for revitalization of public universities and the issue of Earned Academic Allowances; the issue of University Staff Schools on which there is a court judgment; the issue of National Universities Pension Management Company; and the issue of salary shortfalls for lecturers and staff of universities. There is the issue of TSA exemption and the problems in the state universities. All are the issues that ASUU felt that government should address. “Most of these issues stemmed from the 2009 agreement that government had with ASUU and also from the 2013 Memorandum of Understanding that the government had with ASUU. Government is a continuum. Most of those issues were not issues that cropped up from the Buhari administration, we inherited them. “But be that as it may, we are to ready to address those issues. “But ASUU has to take back this our proposal to their organs, so we decided that there’s an agreement for government to make some funds available in September and October to show that they are not repudiating their agreement and to also show sign of good faith. “The Issue of NUPENCO was addressed and ways have been fashioned out for the registration of that company. Salary shortfalls for lecturers and university staff were also addressed and government has shown their commitment and evidence that payments have started in order to liquidate the outstanding allowances.